Mỹ, Nhật Bản vẫn tỏ ra đúng hướng trên con đường phục hồi kinh tế. Trong khi đó, Châu Âu vẫn còn khá mong manh và Trung Quốc thì lại cho thấy một bức tranh trái ngược, nền kinh tế bắt đầu thu hẹp, niềm tin tiêu dùng suy giảm, sản xuất dự kiến sẽ còn khó khăn. Consumer Confidence in the United States decreased to 80.30 in July of 2013 from 82.10 in June of 2013. Consumer Confidence in the United States is reported by the The Conference Board. The United States Consumer Confidence averaged 93.67 from 1967 until 2013, reaching an all time high of 144.70 in May of 2000 and a record low of 25.30 in February of 2009. In the United States, The Conference Board Consumer Confidence Index® (CCI) is a barometer of the health of the U.S. economy from the perspective of the consumer. The index is based on approximately 3,000 completed questionnaires reflecting consumers’ perceptions of current business and employment conditions, as well as their expectations for six months hence regarding business conditions, employment, and income. The Conference Board® and Consumer Confidence Index® are registered trademarks of The Conference Board. The Consumer Confidence Index and its related series are among the earliest sets of economic indicators available each month and are closely watched as leading indicators for the U.S. economy. This page contains - United States Consumer Confidence - actual values, historical data, forecast, chart, statistics, economic calendar and news. PMI của Mỹ đang cho thấy nền kinh tế đang phục hồi. Industrial Production in the United States increased 2 percent in June of 2013 over the same month in the previous year. 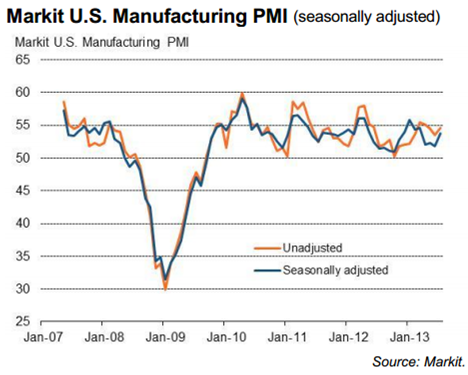 Industrial Production in the United States is reported by the Federal Reserve. The United States Industrial Production averaged 3.91 Percent from 1920 until 2013, reaching an all time high of 62.00 Percent in July of 1933 and a record low of -33.70 Percent in February of 1946. In the United States, industrial production measures the output of businesses integrated in industrial sector of the economy such as manufacturing, mining, and utilities. This page contains - United States Industrial Production - actual values, historical data, forecast, chart, statistics, economic calendar and news. Consumer Confidence In the Euro Area increased to -17.40 in July of 2013 from -18.80 in June of 2013. Consumer Confidence In the Euro Area is reported by the European Commission. Euro Area Consumer Confidence averaged -12.67 from 1985 until 2013, reaching an all time high of 2.70 in May of 2000 and a record low of -34.20 in March of 2009. in the Euro Area, the Consumer Economic Sentiment Indicator measures the level of optimism that consumers have about the economy. The survey is made by phone and covers 23 000 households in the Euro Area. The number of households sample varies across the zone. The questions focus on current economic and financial situation, savings intention as well as on expected developments regarding: consumer price indexes, general economic situation and major purchases of durable goods. 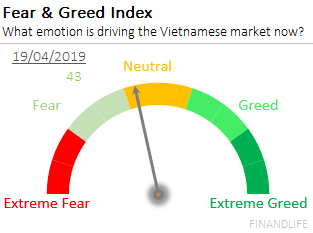 The Consumer ESI measures consumer confidence on a scale of -100 to 100, where -100 indicate extreme lack of confidence, 0 neutrality and 100 extreme confidence. This page contains - Euro Area Consumer Confidence - actual values, historical data, forecast, chart, statistics, economic calendar and news. PMI của Châu Âu đang cho thấy nền kinh tế đang phục hồi “mong manh”. 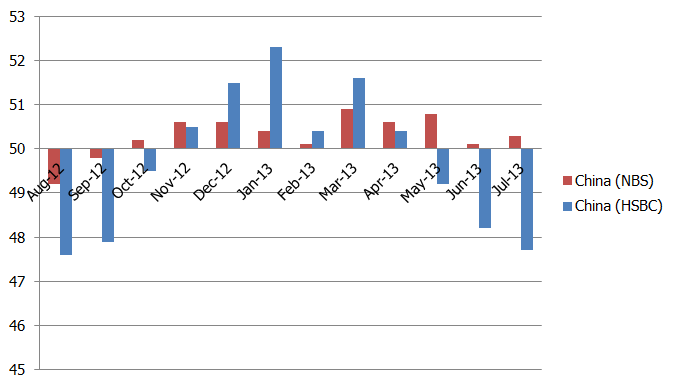 Industrial Production In the Euro Area decreased 0.60 percent in April of 2013 over the same month in the previous year. Industrial Production In the Euro Area is reported by the Eurostat. Euro Area Industrial Production averaged 0.88 Percent from 1991 until 2013, reaching an all time high of 9.80 Percent in May of 2010 and a record low of -21.40 Percent in April of 2009. in the Euro Area, industrial production measures the output of businesses integrated in industrial sector of the economy such as manufacturing, mining, and utilities. 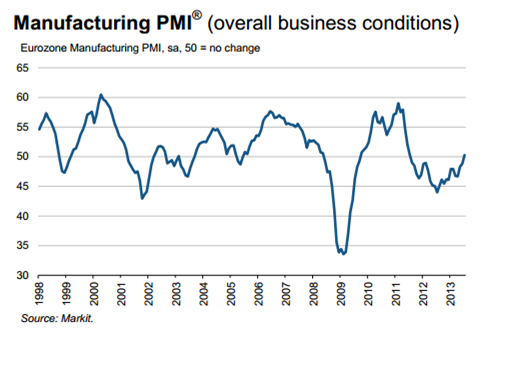 This page contains - Euro Area Industrial Production - actual values, historical data, forecast, chart, statistics, economic calendar and news. Consumer Confidence in Japan decreased to 43.60 in July of 2013 from 44.30 in June of 2013. Consumer Confidence in Japan is reported by the the Cabinet Office. Japan Consumer Confidence averaged 42.36 from 1982 until 2013, reaching an all time high of 50.80 in December of 1988 and a record low of 27.40 in January of 2009. In Japan, the Monthly Consumer Confidence survey data is collected by direct visit and covers about 4,700 households consisting of more than two persons. The questionnaire covers four subjects: consumer perceptions of overall livelihood, income growth, employment and willingness to buy durable goods. For each subject an index based on the respondents’ evaluation of what they consider the prospects to be over the next six months is created. The Consumer Confidence Index is the simple average of the four consumer perception indexes. A score above 50 indicates optimism, below 50 shows lack of confidence and 50 indicates neutrality. This page contains - Japan Consumer Confidence - actual values, historical data, forecast, chart, statistics, economic calendar and news. PMI của Nhật Bản đang cho thấy nền kinh tế đang phục hồi. 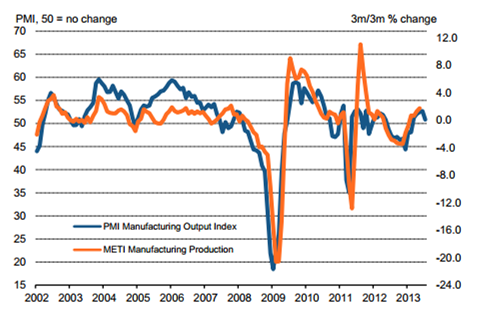 Industrial Production in Japan decreased 4.80 percent in June of 2013 over the same month in the previous year. Industrial Production in Japan is reported by the Ministry of Economy Trade & Industry. Japan Industrial Production averaged 1.44 Percent from 1979 until 2013, reaching an all time high of 33.10 Percent in February of 2010 and a record low of -38.60 Percent in February of 2009. In Japan, industrial production measures the output of businesses integrated in industrial sector of the economy such as manufacturing, mining, and utilities. This page contains - Japan Industrial Production - actual values, historical data, forecast, chart, statistics, economic calendar and news. Consumer Confidence in China decreased to 97 in June of 2013 from 99 in May of 2013. Consumer Confidence in China is reported by the National Bureau of Statistics of China. China Consumer Confidence averaged 110.14 from 1991 until 2013, reaching an all time high of 124.60 in September of 1993 and a record low of 97 in November of 2011. In China, the consumer confidence index is based on a survey of 700 individuals over 15 years old from 20 cities all over the country. This composite index covers the consumer expectation and consumer satisfaction index, thus measures the consumers' degree of satisfaction about the current economic situation and expectation on the future economic trend. 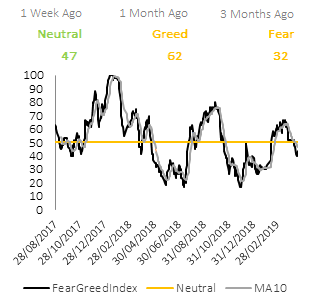 The Index measures consumer confidence on a scale of 0 to 200, where 200 indicate extreme optimism, 0 extreme pessimism and 100 neutrality. This page contains - China Consumer Confidence - actual values, historical data, forecast, chart, statistics, economic calendar and news. PMI của Trung Quốc đang cho thấy nền kinh tế đang có vấn đề. Theo thống kê của Tổng Cục Thống Kê Trung Quốc thì mọi chuyện vẫn ổn, tuy nhiên số liệu do HSBC khảo sát lại cho thấy nền kinh tế Trung Hoa đang đi xuống. Industrial Production in China increased 8.90 percent in June of 2013 over the same month in the previous year. Industrial Production in China is reported by the National Bureau of Statistics of China. China Industrial Production averaged 13.26 Percent from 1990 until 2013, reaching an all time high of 29.40 Percent in August of 1994 and a record low of -21.10 Percent in January of 1990. In China, industrial production measures the output of businesses integrated in industrial sector of the economy such as manufacturing, mining, and utilities. This page contains - China Industrial Production - actual values, historical data, forecast, chart, statistics, economic calendar and news. Việt Nam đang từng bước phục hồi, mặc dù rất chậm.